The Active Optical DisplayPort Cable from Kramer is designed to deliver 4K 60 Hz and 3D video over long cable runs without relying on an external power supply. 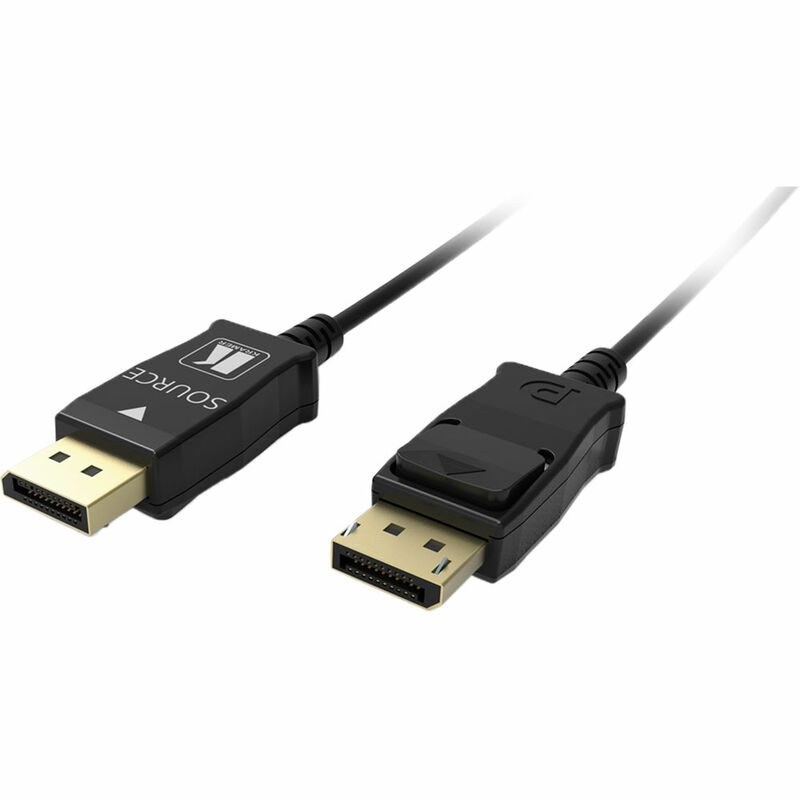 Measuring 3.4mm in diameter and protected by a low-smoke, halogen-free jacket, this 230' active DisplayPort 1.2a cable boasts transfer rates up to 21.6 Gb/s and supports up to eight channels of 16- or 24-bit linear PCM with 32-192 kHz sampling rates. The Active Optical DisplayPort Cable is HDCP 2.2, EDID, and DPCP compliant.